We introduced Astroboard cases to our range in 2010 and they have proved to be very popular, coming in a wide range of colours. Astroboard is a polypropylene sandwich construction which typically ends up being some 40% lighter than an equivalent wooden case. As with our Aluminium Cases we custom build these to your specific requirements. 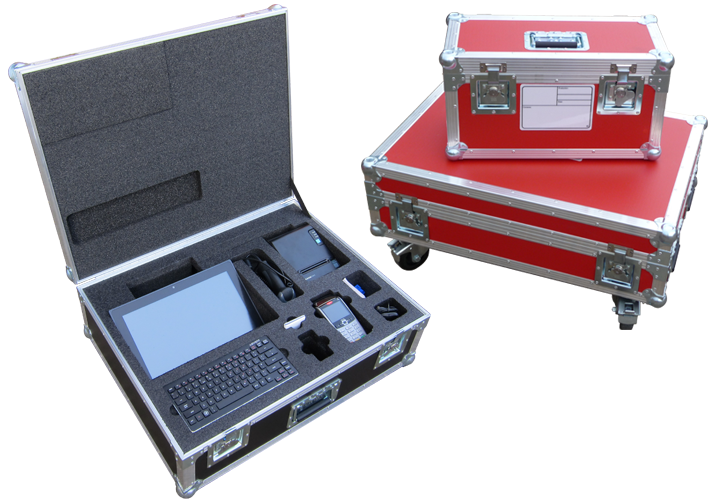 We also offer Penn Elcom’s N-Case system which is designed to provide a very professional but low cost solution. The N-Case system is a unique patented case construction system using Astroboard and Aluminium profiles. This system is particularly well suited for Brief Cases, Musical and Scientific Instruments, and Specialist Tools.